Norris Property Inspections LLC | Your Local Inspection Company! Thank you for Trusting Norris Property Inspections LLC as your local inspection company! Hello. I'm Shawn Norris, owner and inspector of Norris Property Inspections LLC. Norris Property Inspections LLC is a locally owned and operated inspection company, not a franchise or corporate managed inspection company. If you choose Norris Property Inspections LLC to do your inspections you will deal with me directly and personally, giving you professional and courteous service along with the most up to date reporting methods and reports. I am a Florida State licensed home inspector and a member in good standing with the National Association of Certified Home Inspections (NACHI). NACHI requires all its members to keep up with industry standards, including but not limited to: continuing education, current reporting methods, and industry standards of practice. Buying a home is one of the most expensive purchases an individual makes. This is no time to shop for a cheap inspection. The cost of a home inspection is directly related to the quality of the inspection. My business is founded on high quality, thorough inspections done with the utmost integrity. Property buyers who use Norris Property Inspections are provided a detailed digital report ensuring they are well informed and knowledgeable about the prospective property. Property Sellers are also provided a digital report that gives full disclosure thereby eliminating the chance that a buyer comes back questioning the condition of the property or negotiating purchase price. Norris Property Inspections LLC understands that purchasing a piece of property is a HUGE investment. Everyone involved needs to be well informed and knowledgeable about the prospective property. 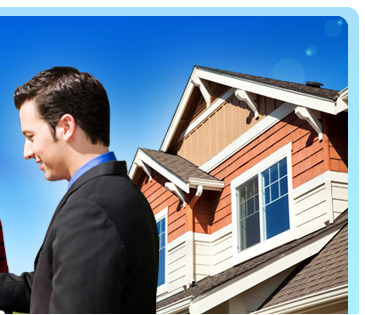 Purchasing property is such a major undertaking, I take pride in providing our services. The majority of our business is from client referrals and professionals in the real estate industry. I work directly for the client. My job is to insure that the client understands every item that may be reported and is well informed. Furthermore, my job does not end after the report is completed. If any questions arise months down the road, you are encouraged to give me a call or email. Norris Property Inspections LLC will do whatever it takes to insure that you are completely comfortable with the property. My goal is to assist you in making a confident decision about purchasing your property, whether you are buying or selling a property. Or, if you simply want a professional to inspect and advise you on the condition, maintenance and/or safety of your current property, we are here to help. We provide services in the North West Florida Panhandle. Our local counties include: Okaloosa, Walton, Santa Rosa, and Bay.